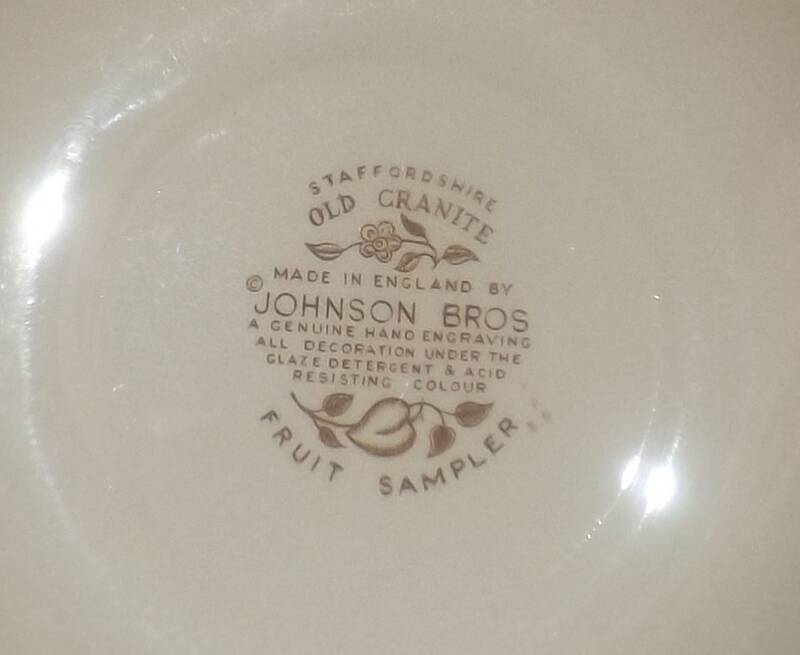 Vintage (1970s) Johnson Brothers Fruit Sampler salad or side plate. Apple center, brown leaves, florals. Old Granite ironstone. 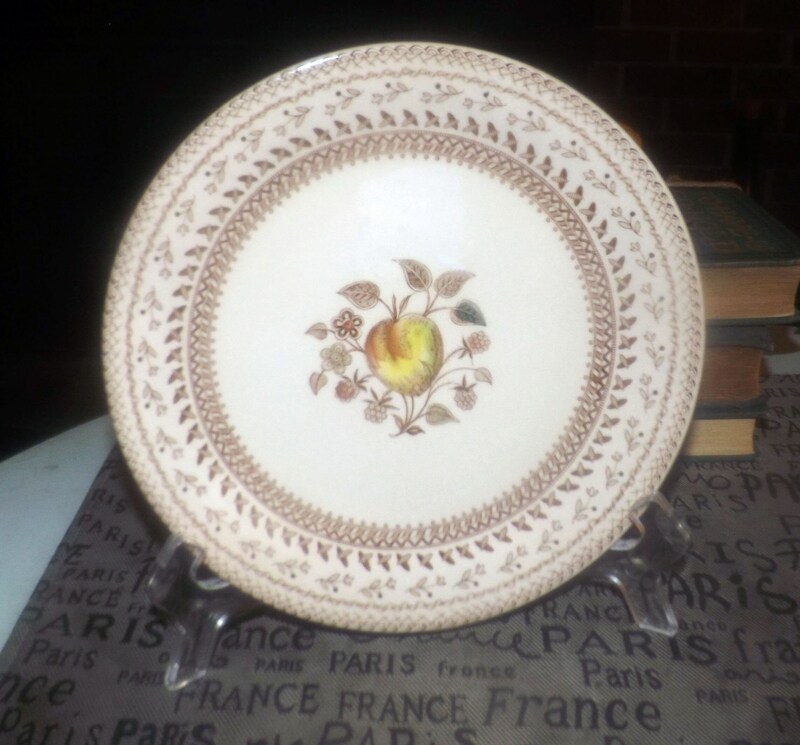 Vintage (mid 1970s) Johnson Brothers Fruit Sampler pattern salad or side plate. 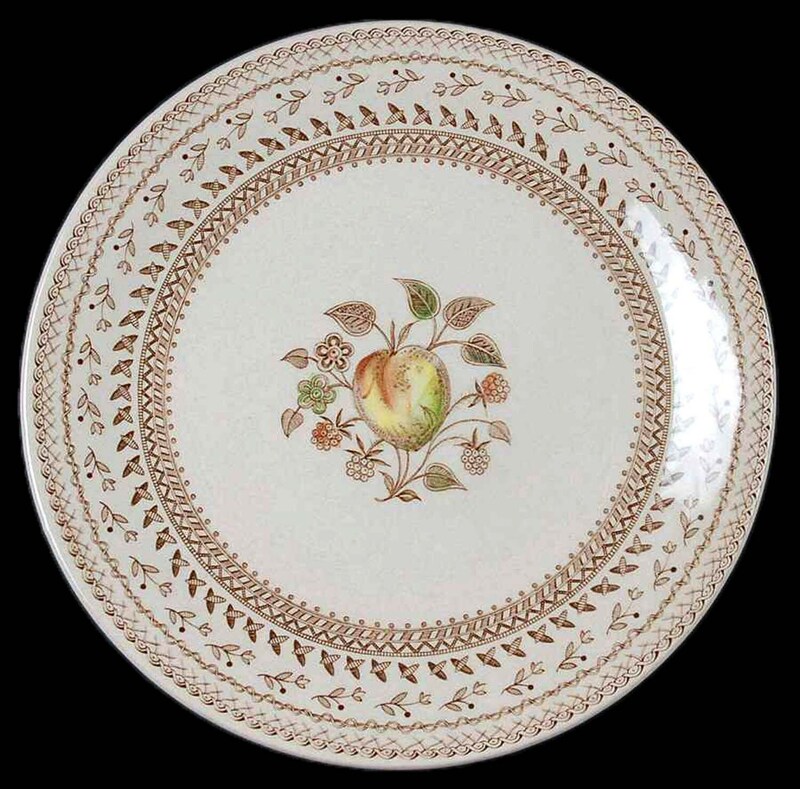 Part of Johnson Brothers Old Granite line or ironstone, fruit sampler features a still-ripening apple on both side with a brown, floral border band. In EXCELLENT! condition with NO! chips, nicks, cracks or fleabites and LITTLE TO NO! crazing. There are some LIGHT! scuffs to the REVERSE of the plate, but otherwise there are NO! other marks or stains and NO! 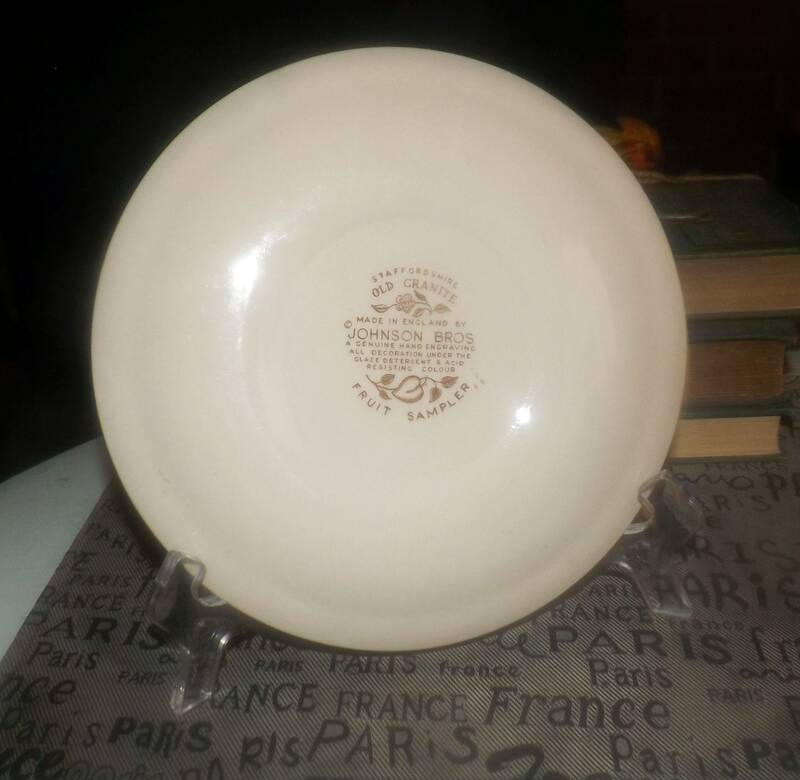 marks or stains to the front of the plate. There are also few random and VERY LIGHT! utensil marks to the plate surface, but these are indeed LIGHT! 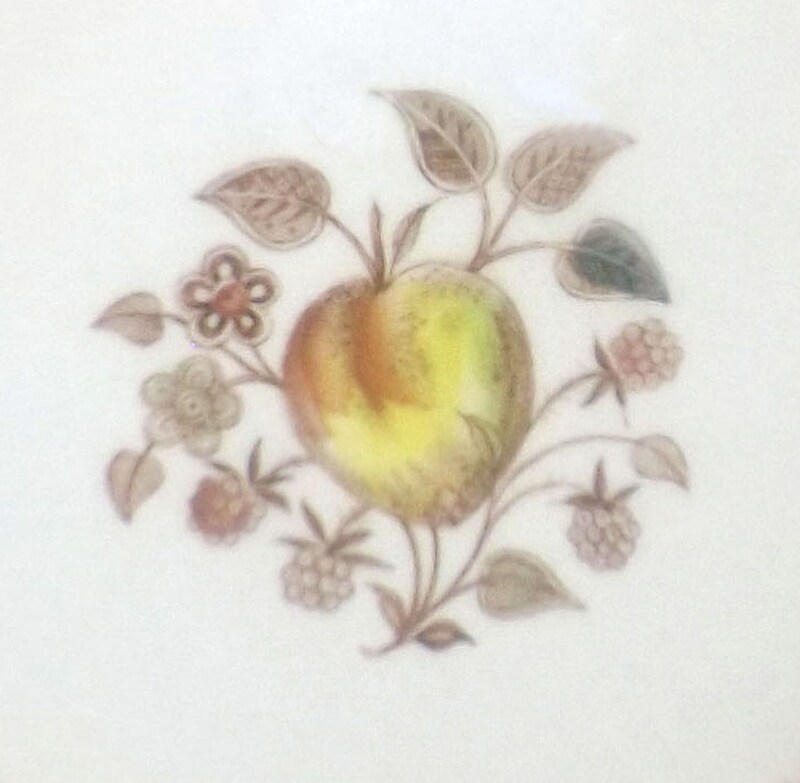 and hardly of notice except upon very up-close inspection of the plate under bright light (please review each of the posted photos for a complete visual of the item). The central fruit and floral imagery is bright and vivid with LITTLE TO NO! fading apparent. Approximate measurements: 8-1/8" in diameter with a smooth edge.